Thanks to cloud computing, enterprises can leverage virtually unlimited IT resources in real time regardless of their physical location.However, the way systems and data are stored, shared, and deployed in the cloud presents a couple of e-discovery obstacles. The good news is that SaaS, IaaS,and PaaS providers are offering mechanisms and adaptations for adhering to relevant rules, enabling businesses to leverage and reap the benefits of cloud computing. When enterprises start storing official emails, files, folders,and documents in the cloud, finding their electronically stored information fore-discovery gets a bit complicated. Therefore, it becomes vital to work with providers who offer the tools needed to classify, track, analyze, and retrieve case data and files when need be. It's also vital to ask, can you view the information without having to download or export it? Doing that with legacy in-house IT systems is less complicated. But in the cloud, the story is different. For example, there might be the need to retrieve and present email data in a structured,hierarchical form. Will POP3 or IMAP protocols do the job well? Typically, the best cloud services provide APIs that their clients may use to extract and present copies of email data in an organized manner.Such tools may include OAuth authentication mechanisms to ensure data security. Usually, a physical or soft copy of a digital file doesn't reveal its metadata to the reader (information describing the document's management history, for example, editorial comments or the storage path). In some cases,the data is critical in litigation. However, discovering metadata in the cloud is also a bit complicated. One reason for this is that multiple cloud providers may use an interoperable system architecture that enables them to share and exchange client data. Loss of metadata may occur if the services reviewed the delivery or security protocols to continue supporting interoperability or mobility. For example, a provider may lose the data when a client accesses information through a different cloud provider. Likewise, transitioning from one cloud to another to access electronic data remotely via different devices can result in the loss of metadata. Cloud providers can mitigate such loss by tracking ESI along with any embedded details as their clients move it across an interoperable architecture. Therefore, consider if your preferred cloud platform makes it possible to extract metadata when legal circumstances require you to attach it to the documents you supply. There's a need to prevent the inadvertent discovery of confidential ESI in the cloud, which may occur when organizations are sharing data centers or servers. At-rest and in-transit encryption utilizing client-specific keys is one way to secure the data. The measure makes it difficult to decipher and interpret ESI and metadata, even when the wrong person or entity accesses it inadvertently. Permission-based access is also an essential feature of e-discovery protocols and mechanisms. At the highest security levels, cloud services provide multi-factor authentication to minimize the risk of unauthorized users accessing e-discovery tools. For example, in Office 365, admins can use Cmdlets to limit the user content locations and sites, such as One Drive and mailboxes, which e-discovery managers can look up. The platform's search permission filters let admins track and prevent users from viewing specific content based on their SMTP address. It's also possible to specify searchable geographical locations,such as U.S. mailboxes only. E-discovery rules differ from country to country, and as such, the ability to apply filters to location-based data searches is very critical. Often, complying with e-discovery rules means archiving data for some time even after users have deleted it or left your organization. Cloud computing changes how you can preserve and retrieve such information. A good example is Google Vault, which lets you preserve enterprise data with email archiving.With the provision, you may specify how long you need Google Drive data,Hangouts chats, and emails available for e-discovery. Typical cloud services provide the right environment for the deployment of e-discovery scripts or apps that extract archived ESI along with the metadata that describes the labeling and threading. You can archive and track videos, CRM activities, contacts, communications, photos, files, and documents this way. Moving your data to the cloud is a great way to protect it from loss through the physical destruction of on-premises storage, theft, or ransomware attacks. It ensures that your enterprise files and documents are searchable and available for scrutiny when need be. Leading cloud companies make that possible by providing secure backups and multiple availability zones. For example, Microsoft offers several Azure Availability Zones, each of which has a data center with a separate power source and networking infrastructure. The precaution ensures Azure customers can always query their SQL or other databases even after one data center breaks down or otherwise becomes unavailable. As companies transition to the cloud and grow their digital footprint, they start generating or attracting massive chunks of data from abroad array of structured and unstructured sources. Such data, for example,social media commentary or engagement, may become subject of e-discovery at some point. 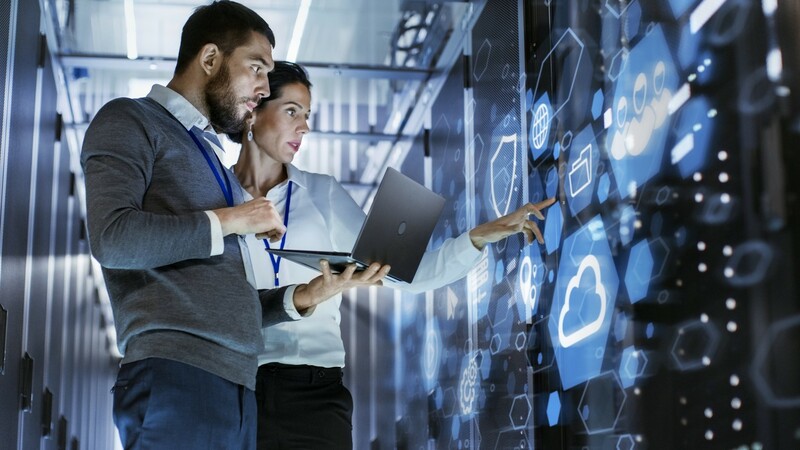 Tracking and retrieving information from disorganized sources in the cloud may be tricky, but it's technologically feasible. Solutions like Office 365 provide powerful AI tools to help find and classify unstructured data. For example, predictive coding can identify documents that match predetermined attributes. Likewise, character recognition technology helps extract text from images or scanned documents. Machine learning tools can help analyze words or phrasing extracted from images in the cloud. With robust text analytics, you can discover consumer sentiment, detect anomalies, or classify personally identifiable information (PII), such as social security numbers. If you're operating in the cloud, you're unlikely to discover and classify all your business information without the help of big data mining and analytics. E-discovery needs not be tough to execute for businesses leveraging cloud-based IT resources. Just consider enlisting a cloud service with the right tools to track, identify, extract and present your documents, files, and data in the most convenient manner. Be sure the platform supports permission-based search,AI-powered document and text analytics, system redundancy and loss prevention,and big data mining.